Over time, age and injury may cause healthy tissue to become dysfunctional. A human cell and tissue product (HCT/P) can be administered to a person to reconstruct, replace, supplement or repair basic functionality of the recipient’s tissues or cells. Got Your Back Total Health uses human cell and tissue allografts to supplement similar tissue in your body. The injections are made up of cytokines, regenerative cells, and hyaluronic acid, which are all powerful growth factors that help regenerate your body’s tissues. Got Your Back Total Health also offers Platelet Rich Plasma (PRP) Therapy. PRP is used to promote natural healing responses at the site of tissue injury and damage by using injections of a patient's own blood. 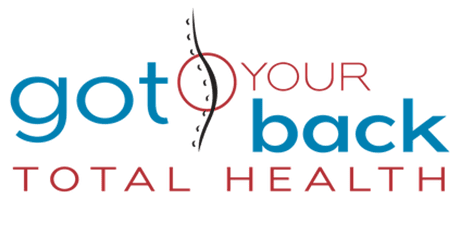 As a leading Chiropractic and Integrative Medicine practice in Spring Valley, Washington, DC, the medical professionals at Got Your Back Total Health uses state-of-the-art PRP techniques to promote faster healing. Q: Where do Allogeneic Human Cell and Tissue Products come from? Allogeneic human cell and tissue products can supplement the body’s natural healing process for quicker recovery. The products Got Your Back Total Health uses don't contain any embryonic or fetal tissue and these human cell and tissue materials come from the umbilical cords of healthy, full-term deliveries. 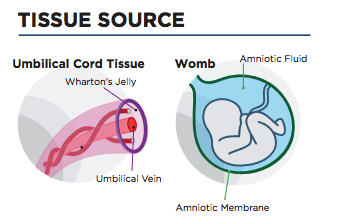 When the amniotic allograft serum is injected into the recipient, the growth factors start to work which triggers cell growth in the treated area. Cells grow and divide and form new tissues over the following weeks. This helps heal damaged or injured areas the recipient may have without surgery. The procedure may help with knee pain, hip pain, shoulder pain, ankle pain, elbow pain and wrist pain. Q: When will I feel the benefits? Recovery time can vary depending upon your personal health history and the severity of the injury being treated. Please inquire to learn more. This is a non-invasive procedure which results in a shorter procedure time and less pain during treatment. The procedure can possibly be completed in one office visit, depending on the area being treated. Please call to receive details specific to your treatment plan. These products are tested to FDA guidelines and many patients have used tissue allografts with no negative effects. 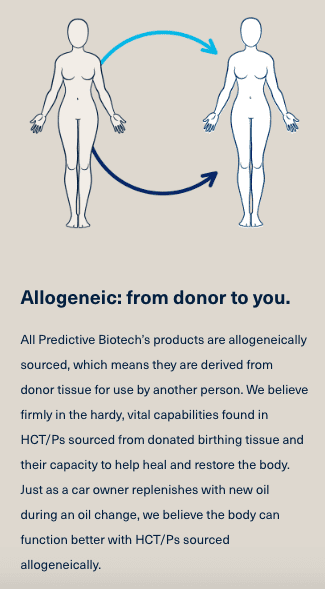 For frequently asked questions about the Predictive Biotech regenerative medicine products Got Your Back Total Health uses, please click here. Or, please give us a call today to learn more. 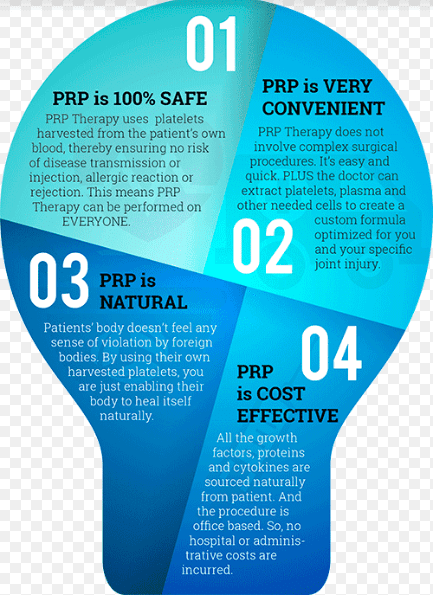 Q: What is PRP (Platelet Rich Plasma) Therapy? PRP or “Platelet Rich Plasma” is blood with concentrations of platelets above baseline levels. Normal blood contains only 6% platelets. However, in PRP, there is a concentration of 94% platelets, which translates to a very powerful growth factor “mixture” with a variety of growth factors and cytokines. Growth factors and cytokines are proteins secreted from the immune system. This stimulates cellular proliferation and tissue regeneration to dramatically accelerate healing. There is no possibility of infection or other side effects, including rejection, because the platelets come from the patient’s own blood. There’s no matching to be done either. The only precaution necessary is to stop any anti-inflammatory medications while administering PRP. Q: What are the benefits of PRP Regenerative Therapy? PRP Therapy is an effective treatment for common orthopedic conditions (i.e. injuries from sports). PRP or Platelet Rich Plasma is a concentration of platelet cells taken from the blood from a patient’s arm. The platelet rich plasma will be put in a centrifuge and spun at a certain RPM, which forces the blood components to separate. The resulting blood will have distinct components of Red Blood Cells (RBC), Normal Plasma (PPP) and Platelet Rich Plasma (PRP). The PRP portion of the blood is then separated, and injected into the injured area. Clinical trials prove the effectiveness of PRP treatments for almost all types of chronic healing. Injection with PRP increases the amount of soft tissue generation, including the tendons, ligaments, as well as collagen and cartilage. PRP may be used to treat osteoporosis (a medical condition in which the bone becomes fragile and brittle), and it is found to be highly effective for the management of pain. The first step in a PRP Therapy injection is to draw the patient’s blood sample to prepare the platelets. The blood sample is then put into a centrifuge and is spun to separate the components. The components include Red Blood Cells, Poor Platelet Plasma and Platelet Rich Plasma. When the PRP has been successfully separated, it can directly be loaded into a syringe for application. Got Your Back Total Health will be offering PRP Therapy/Regenerative Medicine Therapy to patients that qualify. The medical services are delivered by a medical professional, such as the NP or PA, so call us today to schedule your appointment now!